Spanish Property Proving Popular with Brits A growing number of Britons have been showing an interest in overseas property in February, new figures have revealed.According to the latest figures from foreign exchange company Moneycorp, Germany, France, Italy and Ireland all proved popular destinations last month.Property in Spain also proved to be a popular search, the company added.Robin Wilson, of Rightmove, said: "Bargain hunters are out in force, primarily focused on Spain and Ireland. "We've been tipping Germany for a while now and the north eastern tourist hotspot of Mecklenburg-Vorpommern led the charge this month with searches up nearly 50 per cent. "Elsewhere, visitor numbers in Spain are expected to increase over the coming few months once the new terminal at Alicante Airport is opened.The terminal will increase the capacity of the Airport from nine million to 20 million passengers a year and travellers will be able to take advantage of a whole host of new amenities including shops and places to eat and drink. There is a definite feel of Spring in the air in the UK. Spring is often associated with cleaning, sorting and clearing out of the old and looking to new beginnings. It is also the time when traditionally the property market 'season' gets under way. Well this year it's ahead of time as interest in property in Spain is already well up on last year, some reports by 20% in sales and higher than that in enquiries. Why? Well it seems that no matter what is going on with the economy the British and northern Europeans still want to head for the sun whenever they can and Spain is still the number one choice. The most sort after properties are those between 100,000 and 200,000 euros, making up over half of sales on the Costa Blanca, and nearly one third of the total sales are for properties under 100,000 euros. With prices still lower in Spain than many parts of the UK it enables a move to the sun to be made without the need for downsizing. It also makes a second home for your own pleasure, or as an investment, an affordable option for many. The money in your bank account is not making you much interest but a home in the sun rented to holiday makers when you are not using it gives you an income. Take a look to see what we have available today and we are happy to help with your visiting arrangements. So this house falls into the most sort after property category at the moment. It's been dramatically reduced for a quick sale so don't hang around! Detached, 3 bedrooms, 2 bathrooms, use of a communal pool, overlooking orange groves and walking distance to the local shops, bars, restaurants and school and still only a 5 minute drive to the beach. There's even room for your own small pool if you want one. A Spanish Dream Property client completed on their purchase last week. They bought a great bargain, they followed our advise and put in a cheeky offer, being prepared to negotiate up, and were delighted to have their first offer accepted, more than 20,000 euros below the original price! We work for buyers, not sellers, so are interested in finding our clients the best deals. This means we do not have a conflict of interest, as estate agents do, who whilst trying to find you a property they are also trying to get the best deal for their client, the seller. We are not limited to looking with any one particular estate agent so can check out the best offers, including bank repossessions and 'distressed' sales. If you would like to view property in the Costa Blanca and northern Costa Calida or inland Alicante and Murcia regions just contact us. Our service is free. We know the areas well, having family there and our own property. Spanish Dream Property - where your dream matters! The latest figures from the Department of Housing show that property prices in Spain fell by 3.5% to 4.5% year on year in February. This latest fall means that prices have dropped by just over 13% since their peak, while the cost of property in popular holiday resorts such as the Costa Blanca have dropped by 20%. The Balearics and Canaries have fared much better during the past year as prices here have only dropped by 0.8% while in the large cities this fall is 5.2%, rising to 6.7% on the Mediterranean coast. Prices in the Balearics and Canaries have dropped by 17.5% since their peak which compares to 20.6% in the large cities and 27.2% on the Mediterranean coast. The latest signs show that this decline should soon begin to reverse as Spain is becoming more popular for tourists and for property investors looking for a bargain. This has already been reflected in the number of flights to Spain as Monarch Airlines is increasing its flight program from April due to the growing demand. It has added additional flights to Malaga, Alicante and Majorca. There has been huge demand for flights in April which may be due in part to the lateness of the Easter holidays combined with the extra-long May bank holiday weekend, as it would seem many Britons would prefer to celebrate the Royal wedding abroad. Monarch Airlines announced that bookings April are already up 49% when compared to demand in 2010. It's likely that increasing numbers of Britons will choose to holiday near to home as the austerity measures begin to cut into holiday budgets, which is all good news for those with homes to rent. Spanish Dream Property is a family run business, based in Norfolk but able to assist clients throughout the UK and Ireland. We ourselves own a second home in Spain and have family who have lived there for many years. We have therefore been travelling to and from Spain for over 2 decades. 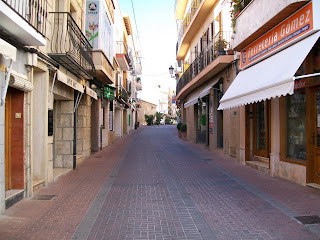 Over the years we have watched the property market in Spain and seen many changes. We have seen the rise, and thankfully the fall of mass market promotions companies who used tactics to sell property which many view as detrimental to the image of Spanish property marketing. We have followed the fortunes of family and friends who have 'made the move' and met many other second home owners. We have witnessed the consequences of good and not so good decision making and, hopefully, learnt from those situations and can help others avoid potential pitfalls. Setting up Spanish Dream Property was a natural progression in our lives. 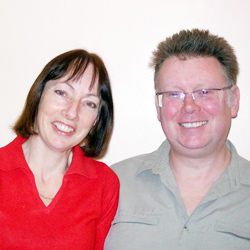 We already owned our own Spanish property, had many contacts in different trades in Spain, Bev had experience in property finding in the UK, already ran a successful business and has written for a UK based Spanish magazine. Dave is a regular contributor to Spanish forums and stays in contact with property professionals about the overseas market and current trends. Friends and 'friends of friends' were already approaching us for advice on the Spanish market. We successfully rent out our home in Spain to holiday makers, www.house-by-the-pool.com, and again have been asked by other owners for tips and advice. The bringing together of these existing skills led to the setting up of Spanish Dream Property. We then sought to find Spanish based partners with excellent track records to work alongside to bring our clients the best possible service. Some property finding companies are based in Spain, which means you have to go there first to do your research. As we are based in the UK you avoid costly phone calls and extra trips, as we do the phoning and stay in contact with all the various professionals in Spain that you will need during the purchase process. For those in the East Anglia region we can offer a 'home visit' to discuss your options and suitable properties. For those further afield we are just a click or call away. We are happy to help you refine your search through discussing your personal needs and wishes so that when you go to Spain our partners there know exactly which properties from our portfolio could fulfil your dreams. Most looking to purchase a property in Spain have full-time jobs and families here in the UK and cannot make unlimited costly visits to research the market. Here at Spanish Dream Property we recognise that you are busy and time is valuable so we do not want to waste your time in promoting areas and property that do not met your requirements. We work for YOU, not the vendor, so what you want matters. We know how frustrating it can be to be taken to places that could never be classified as fitting your requirements so we work hard to understand your dream. If you are looking to purchase a second home we understand the need to find reliable and trustworthy people to check on your home when you are not there and even oversee tradesmen if work or decorating etc is done in your absence. If you are making a permanent move then you may need additional information on schools, work, the health system and the ex-pat community. Those looking purely for an investment opportunity have different needs again, as for you the market trends and future potential are vital to understand. Take a look through our portfolio of properties, which is regularly up-dated. If you can't find what you are seeking then please call us and we will seek to find it for you. Whatever your dream we will work hard to find the right home for you because your dream matters. Overall the Costa Blanca Property market is very strong and we believe we will see many more sales in 2011 as people try to pick up the last great deals.